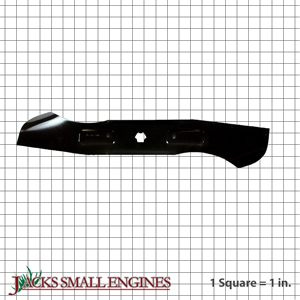 The aftermarket blades I get at Jack's are every bit as good - maybe better, than the the manufacturer's OEM blades. At a lower cost. I'm able to keep my lawn tractor running - economically - thanks to Jacks. The blades are correct and priced better than I could find any where else. Exact fit blades at a reasonable price. They shipped really fast and were well-packaged. Thank you for an excellent transaction! The blades worked really well. Good product. Jack's had the best price I'd could find on the internet, when I recieved them seemed better quality then the original parts! excellent replacement for the original blades at half the cost. Ask us about the Stens 335757 Hi Lift Blade. Please no repair questions. Your Q&A may be posted to Jackssmallengines.com to help other shoppers, like you, with their purchasing decisions. Thank you.